Custom ranch home, over-sized 3 car Garage. 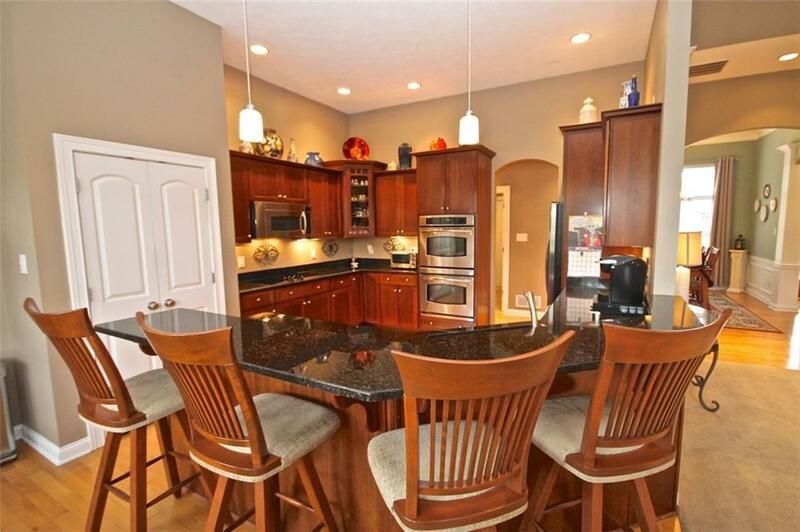 Over 4800 sqft with "killer walk-out Basement' including full wet bar, Game Room, 5 Bedrooms and more. 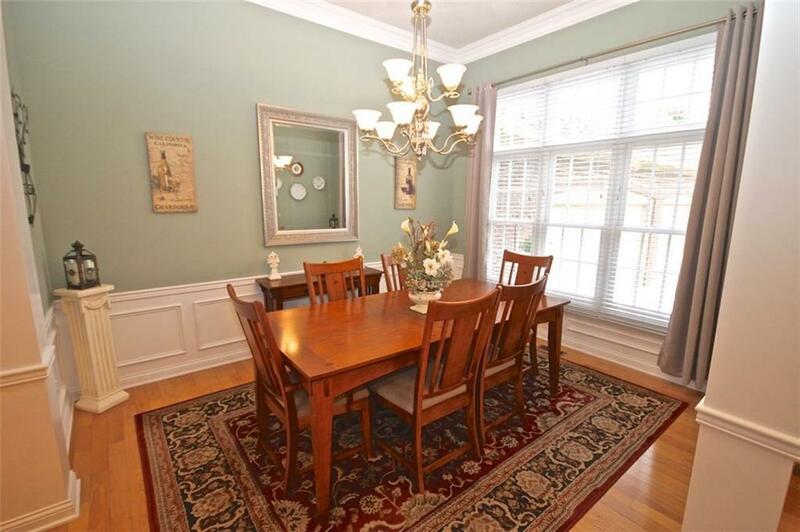 Home features include granite, hardwoods, high ceilings and windows creating an open airy feeling. 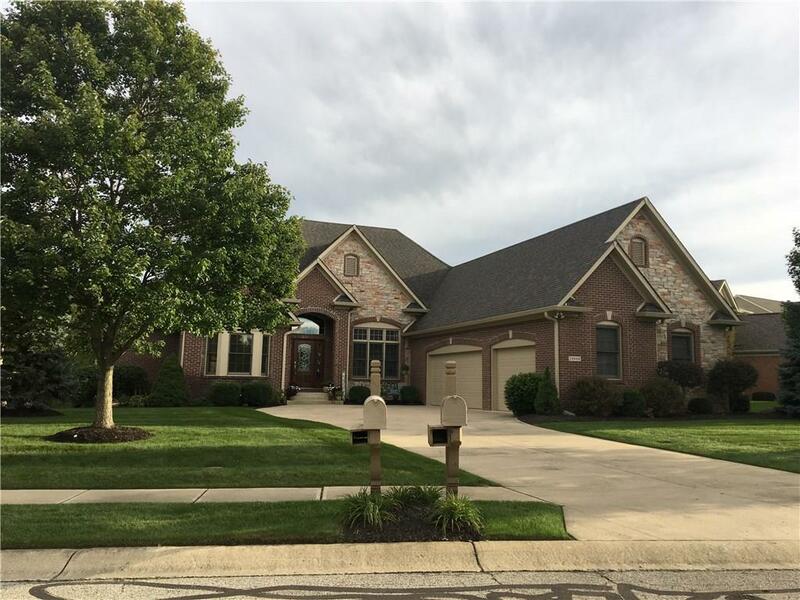 Great Fishers location convenient to all amenities but on dead-end street offering back yard privacy with pond and golf course. 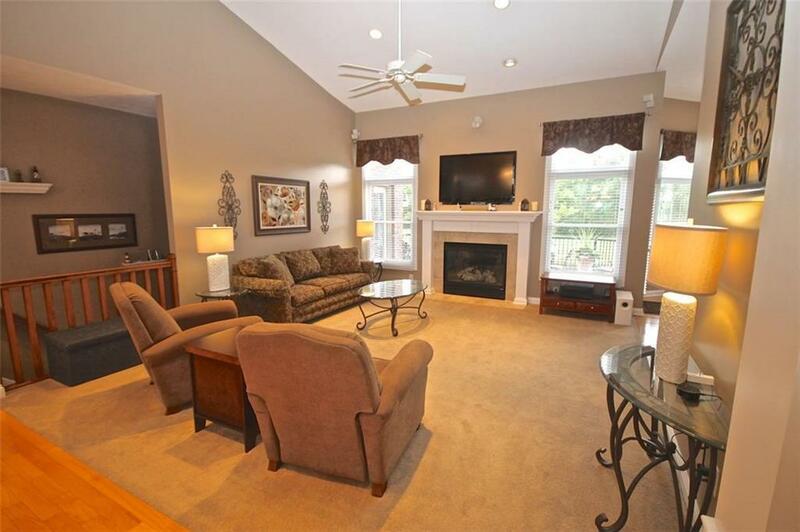 Basement great for entertaining with cozy fireplace and Sunroom off of basement with heated tile. This home would be perfect for in law quarters. Whole house sound system, fenced yard, irrigation system plus the plants have their own watering system. All of this with a view to enjoy year round looking over pond and golf course.